Imagine a day of biking with your family. A long winding trail takes you between the ponderosa pines and tamaracks. With each turn, you’re rewarded with a view of the glassy lake reflecting the mountains of the Salmon River Range. 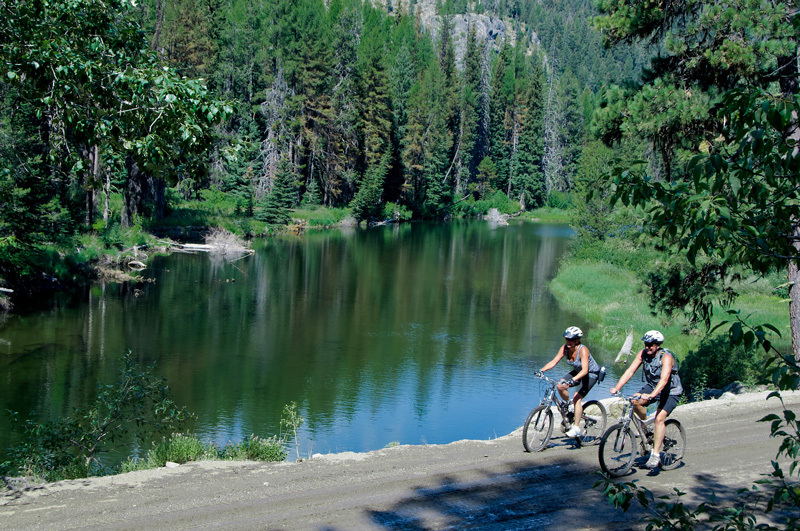 Arriving at North Beach by bike, you unfold a picnic and enjoy the sunshine of a McCall summer. This is a vision of the Payette Land Trust. We hope to make this dream a reality by connecting existing bike and running paths around all of Payette Lake. To secure the land rights necessary will require support for those owning land around the lake. Thankfully, only a small easement would go a long way for the creation of a walking or bike path. As always, we hope to support the dreams of the McCall community and preserve what you love about this place we all call home. Call to Action: We’re looking for donations to support an awareness campaign and outreach to local landowners. We’re looking for you to voice your support. If you own land along the lake, Warren Wagon, or East Side Road, we’d love to meet and hear your concerns or interest for this project.